Excellent. Exciting. Endearing. Will be want more. Give it a try, you won't be disappointed. A story you'll want to listen to even after you go to bed. An exceptional piece of prose and well told story. 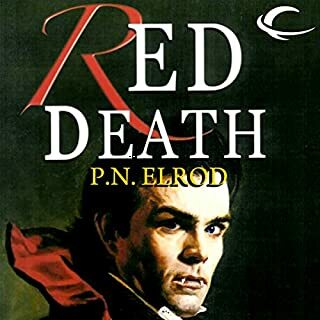 Where does Red Death rank among all the audiobooks you’ve listened to so far? Well that's an interesting question! Elrod does such an exceptional job of writing that all the characters have depth and interest. Of course the protagonist leads the narrative, so we get the fullest character development -- but not at the expense of the other characters or story line. Have you listened to any of Frazer Douglas’s other performances before? How does this one compare? Not that I remember. 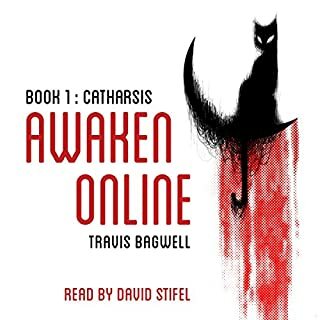 He does a very good job with excellent character separation and individuality portrayed in his narration. There are many telling part in the narrative, but his death scene is done very well. 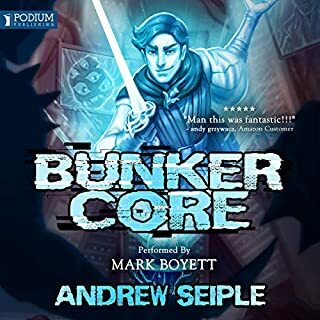 This is a masterful piece of fiction so well written and plotted to make it a great pleasure to listen to. Don't expect to jump into the action on the second page, but rather expected a beautifully crafted story telling that brings thing to fruition by the story's logic. The oldest of the children drafted from humanity's devastated planet, Joe is impressed into service by the alien Congressional Ground Force - and becomes the unwitting centerpiece in a millennia-long alien struggle for independence. Once his training begins, one of the elusive and prophetic Trith appears to give Joe a spine chilling prophecy that the universe has been anticipating for millions of years: Joe will be the one to finally shatter the vast alien government known as Congress. And the Trith cannot lie...but first Joe has to make it through bootcamp. Exceptional piece of spellbinding science fiction. A spellbinding piece of fiction with excellent characters, marvelous plot development and superb action and dialogue. While work prevents a one sitting listen, I never the less listened continuously as tasks would allow. 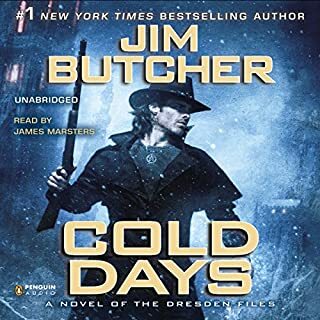 Looking forward to the next installment; the characters and story hold great possibilities with a superb open set of possible twists and turns. Experience Ender’s Game as you’ve never heard it before! 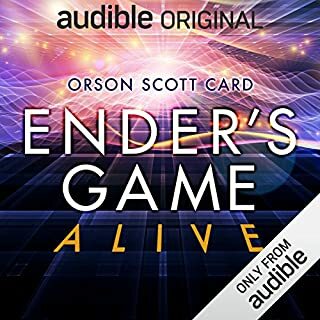 With an all-new, original script written by Orson Scott Card, Ender’s Game Alive is a full-cast audio drama that reimagines the Hugo and Nebula Award-winning classic. If you haven't read/listened to Ender's Game the book, you might enjoy this production. However, the full cast production doesn't, IMHO, generate the imaginative world the book does. In fact, I don't think it can. So much of the tenor of the book is dependent upon internal dialogue to set the stage for the action line of the story. While the full cast version tried to accomplish this, to some extent, by side dialogues of the external monitors, the slowly maturing internal "person" of Ender is critical and essential to the full force of the story. Has Ender's Game Alive: The Full Cast Audioplay turned you off from other books in this genre? There may books that transfer well to full cast productions. But it will depend greatly on the structure of the book. I will be very hesitant to try full cast productions. What didn’t you like about Full Cast Recording’s performance? Nothing. Sorry, it just didn't click. THE MORAL VALUES IN THIS STORY ARE REPUGNANT!!! 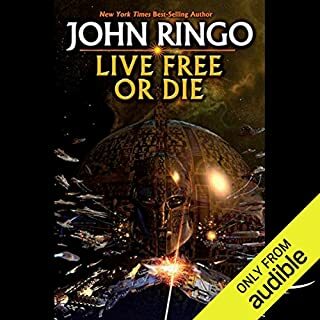 What disappointed you about Live Free or Die? The values championed by the writer within this story are horrific at best, and more like Facistic at bottom. That the writer would put into the mouth of the hero the words that the painful death and suffering of millions of people would leave us "better off" is horrendous and morally repugnant. That he then praises himself for being able to do the "cold calculations" to draw such observations is disgusting. What was most disappointing about John Ringo’s story? His total lack of moral fiber. Would you be willing to try another one of Mark Boyett’s performances? Mark Boyett is an excellent performer. 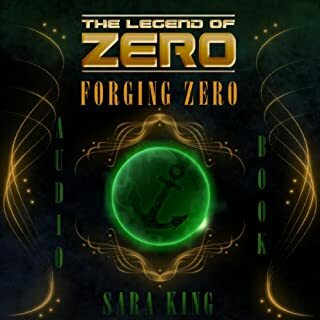 The story's great and the Voice is back! If you could sum up Cold Days in three words, what would they be? Mab's moment at the books end. Marsters has me trained to his voice. What did you love best about A Discovery of Witches? 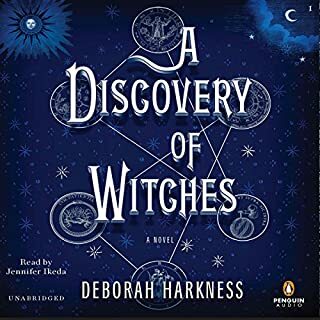 What other book might you compare A Discovery of Witches to and why? I'd compare the style, detail, and voicing of the Wheel of Time series; DOW captivates and entrances, generating a real page turner full of rich characters and plot. Mother, wife, private investigator... vampire. Six years ago federal agent Samantha Moon was the perfect wife and mother, your typical soccer mom with the minivan and suburban home. Then the unthinkable happens, an attack that changes her life forever. And forever is a very long time for a vampire. Now the world at large thinks Samantha has developed a rare skin disease, a disease which forces her to quit her day job and stay out of the light of the sun. 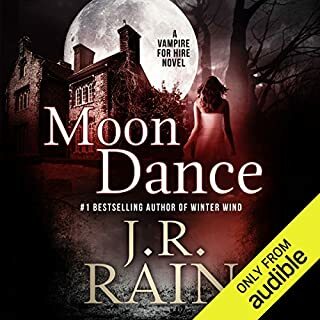 Would you listen to Moon Dance again? Why? Yes. Supremely engaging story and characters. Wish they'd combine the stories into longer stories. Too short... if they weren't so interesting I'd probably passed them by.